If you like enameled cast iron deals, check this out. 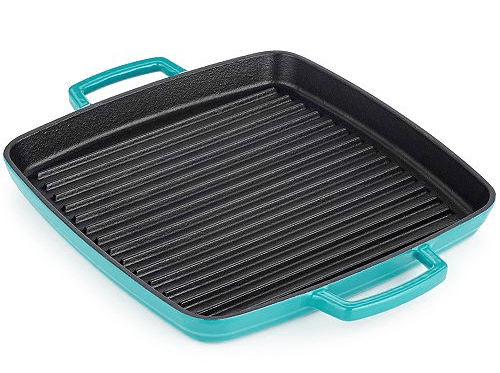 Macy’s is offering this Martha Stewart Collection 11″ Enameled Cast Iron Grill Pan for $29.99! That is down from the normal price of $99.99. They have it available in two different colors.